When developers are building a car for a racing game they’re are primarily concerned with the body work and the interior. 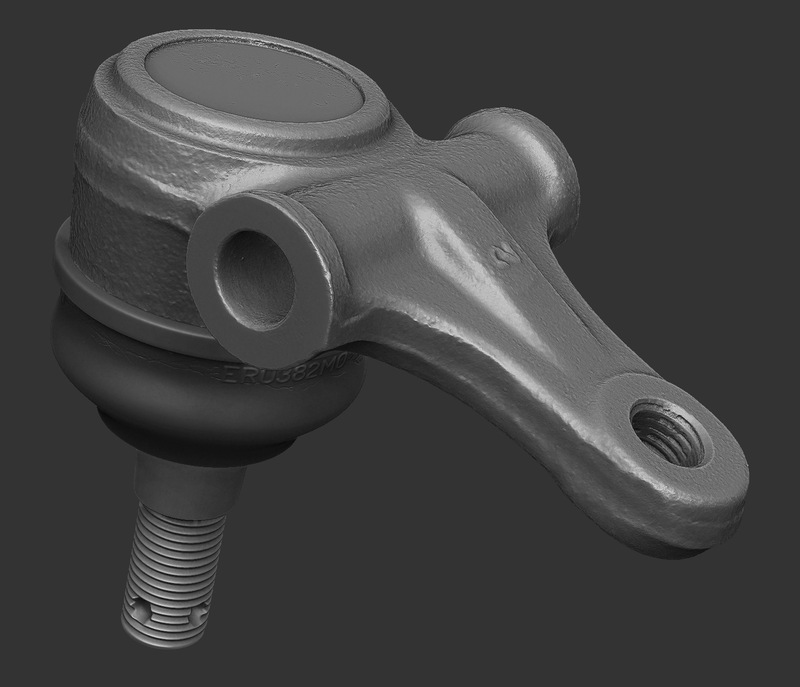 Some amount of effort goes into modeling the mechanicals of the car but those are only seen from suspension cams, when then the car flips, and they’re always shown in an assembled state. 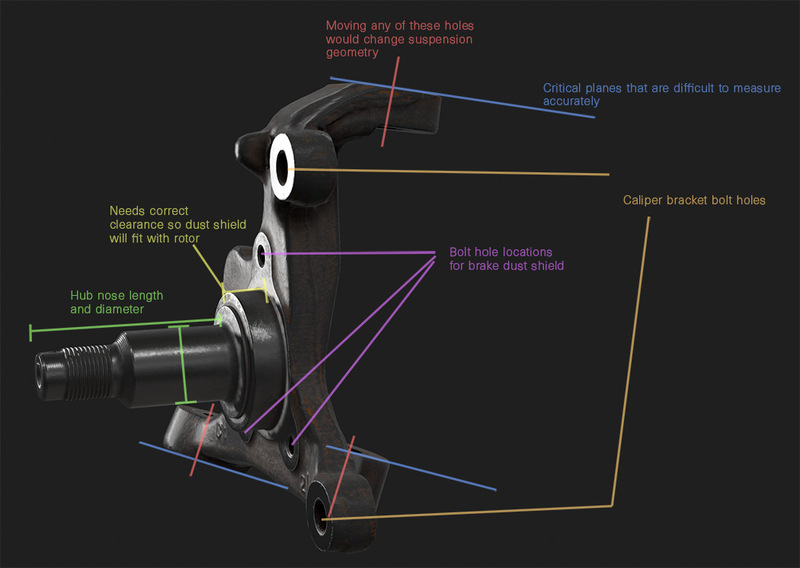 There are no bolt holes, no bolts, and the mechanicals are necessarily simplified and inaccurate. It would be a huge waste of production resources to build every component of the car as a standalone object and then make it all fit together. 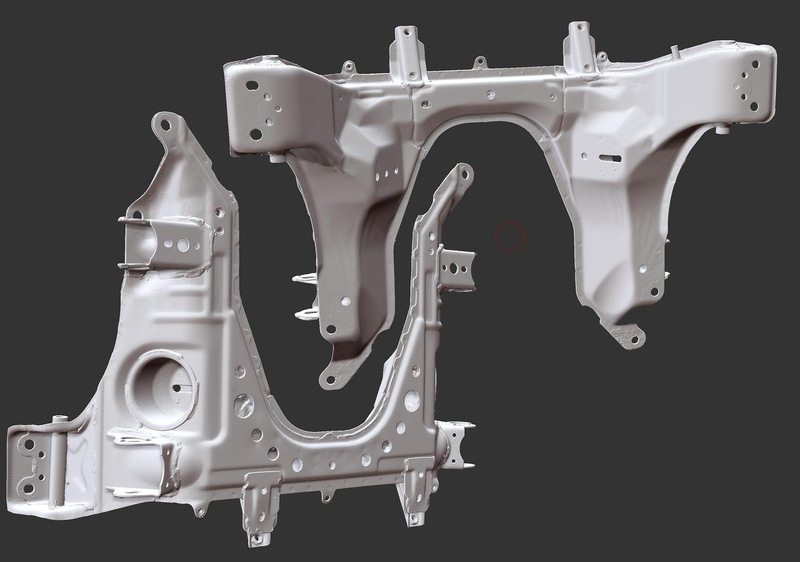 Theoretically once you reach the Front subframe you need to consider where the engine mounts, engine dimensions, where the PPF mounts…but you could probably get away doing the subframe as one of the last pieces of finished art and adjusting it to fit everything else. I couldn’t start the process of building the actual models until everything in that list had an accurate block out mesh. This game began as a part time experiment on weekends and in the evenings after work. 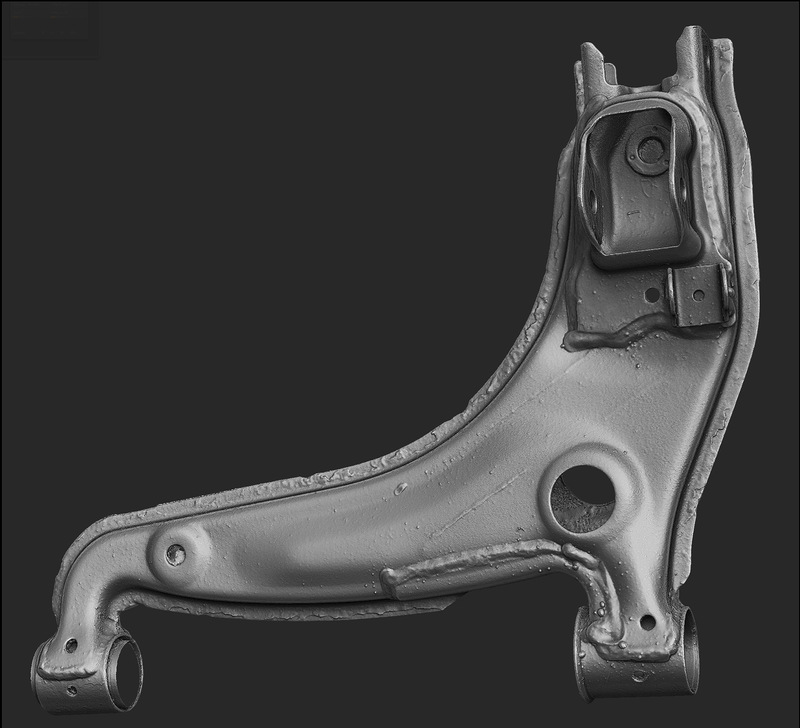 Building a block out of a relatively complete car is not time efficient and there are too many opportunities for one incorrect dimension or block out error to propagate down the chain of parts and require rework. The need for rework might not be discovered until after several months worth of production art was completed and depending on where the error occurred, there could be a lot of art thrown away. In 2015 I did some experimenting to find a workflow to efficiently build an entire car worth of parts and have it all fit together. 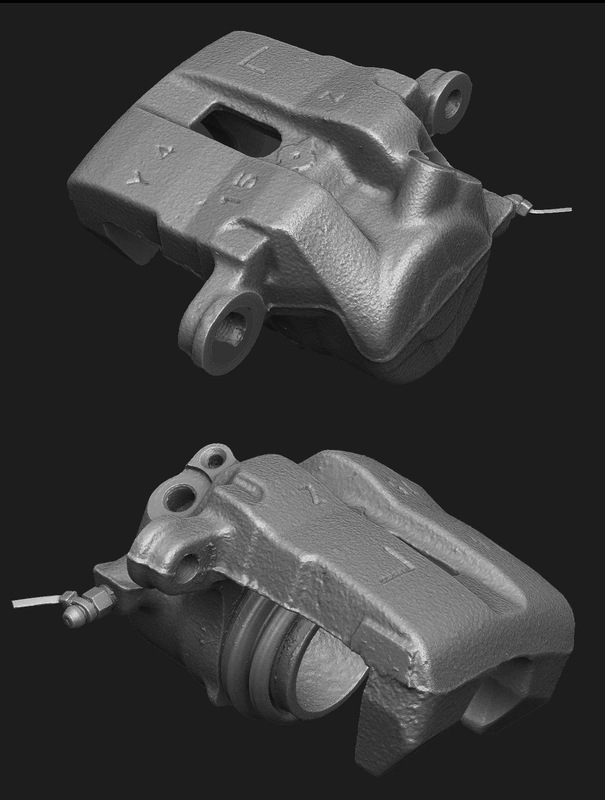 I had some experience with photogrammetry (3d scanning from photographs) as part of the fabrication process for some 3d printed car parts. 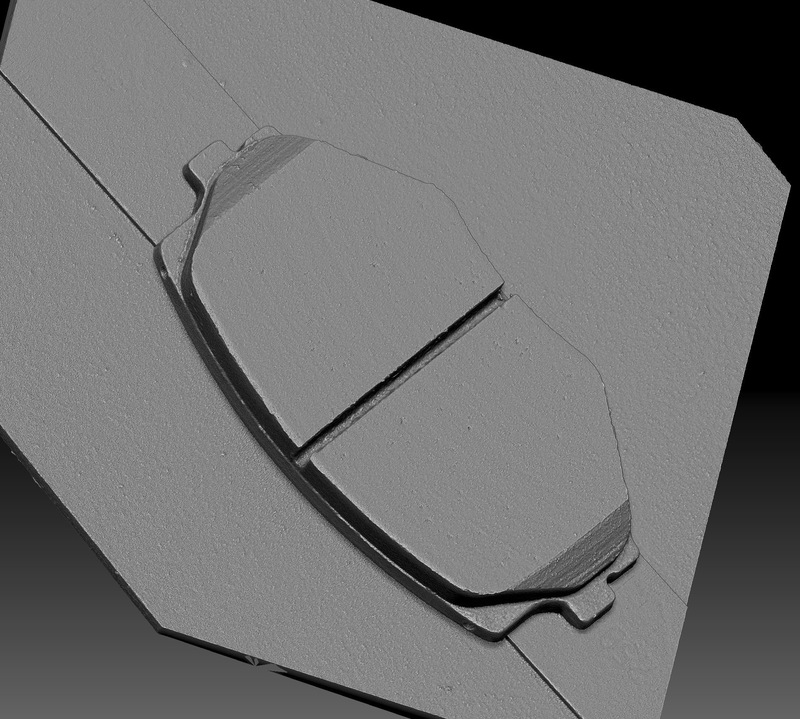 At that point, my photo equipment and software limited my results to relatively blobby but useful meshes. 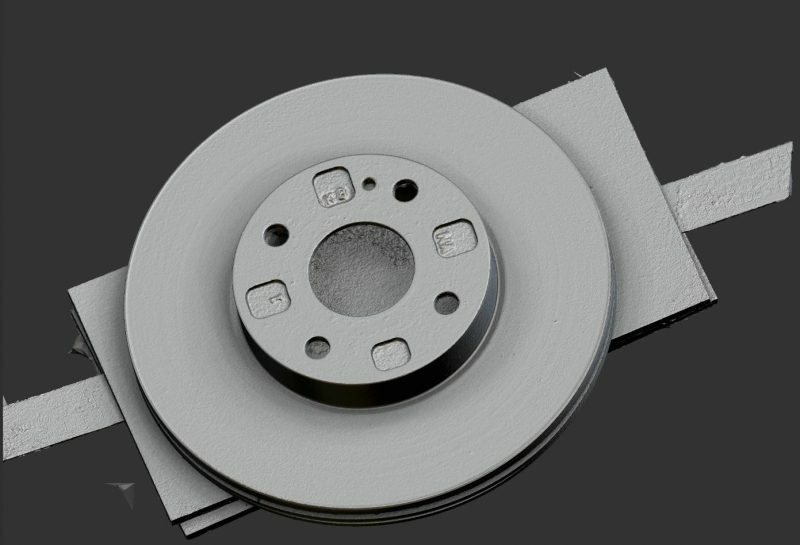 These could replace the need for doing block out models and I could work on each part individually while being assured that parts would fit together correctly. My early scanning results. Left: Scan mesh Right: A clean polygon model built from scratch using the scan as a blockout. 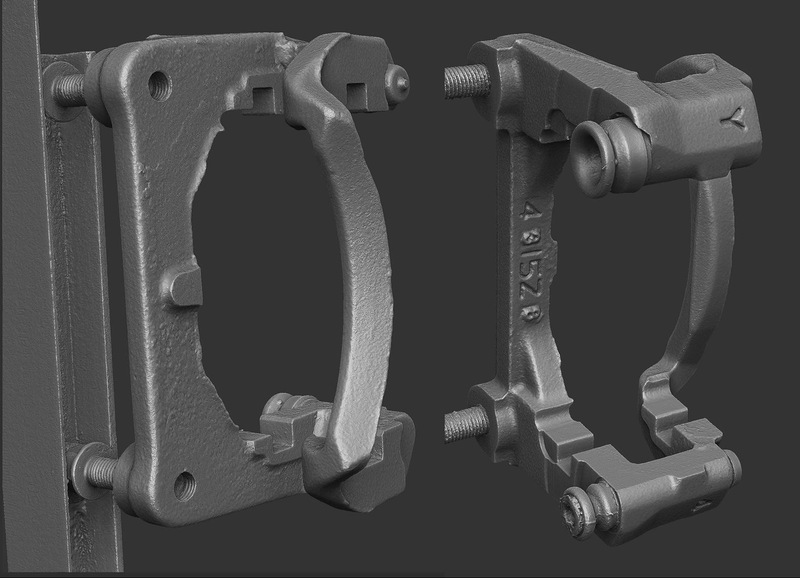 This worked and I was able to confirm accuracy to a tolerance that was acceptable, but building clean polygon models for all of these parts from scratch was extremely time consuming. At this point I was unsure if this idea was feasible with a team of one person working part time. *Nikon D800E with Sigma 50mm 1.4 <- this combination provides plenty of resolution and dynamic range. *I am lighting everything with studio flash units. Switching away from continuous lighting has sped up the photography process by a factor of about 10X and every photo is now tack sharp so there are no throw away images. *I switched my software to Reality Capture. The models I get out of this scan workflow are extremely high quality but polished areas and machined pieces still need remodeling. I also don’t attempt to scan things like fasteners and instead use thread checkers and calipers to build accurate parts. On the left, the raw scan. The casting details are fantastic but there are errors from where the object was zip tied and suspended when it was photographed, and the machined surfaces are noisy and lack detail. 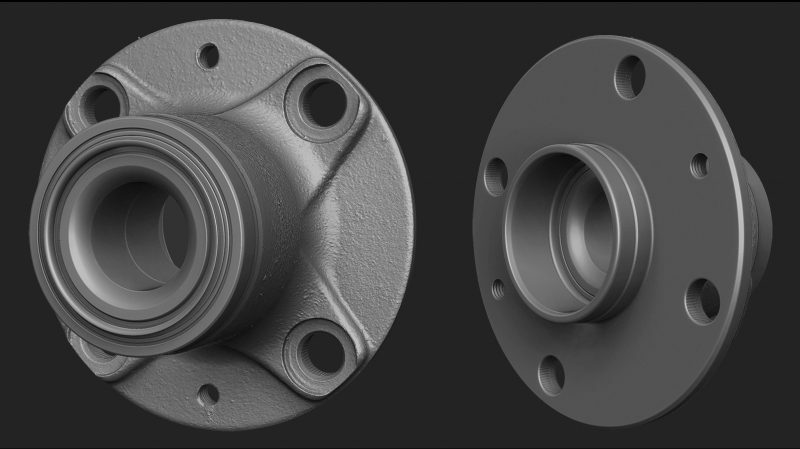 On the right I combined the scan mesh with a polygon model for a clean final object. The other half of this game art workflow is taking these high res models (usually about 10 million triangles per part) and building low poly game art with materials. At some point I will do a follow up post covering that process. Found this blog after seeing a Wrench VR post on Reddit. I’m also highly interested in the low-poly model creation from photogrammetry. I’ve used Reality Capture to create models, but they need a lot of work. I’ve tried MeshLab to reduce the poly count, but I still don’t have something I could use effectively. For most of these models it’s just a lot of re-topology work and cleanup work. There isn’t a good fast solution.